Living RoomNews November 28, 2016 - Comments Off on Christmas is coming, is your living room ready? Christmas is fast approaching and will soon be upon us. In truth, here at The Wooden Furniture Store, we can’t wait – it’s our favourite time of the year! 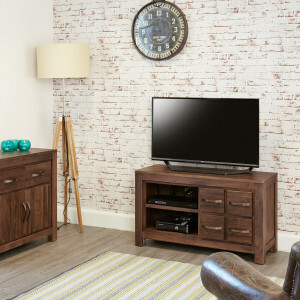 With only 3 weeks left for guaranteed delivery before Christmas, we thought it was time to look at getting your living room ready for entertaining over the festive period. 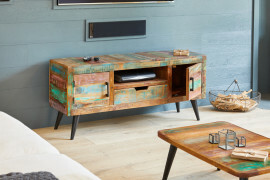 Here is our pick of the best furniture and ideas to make your living room look its best. 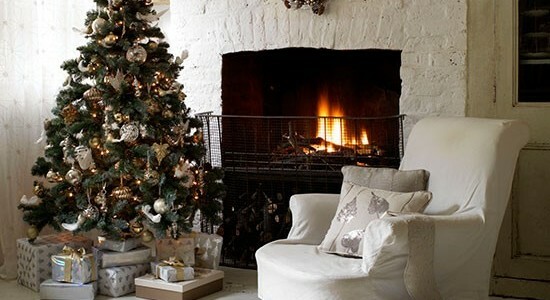 Focus on the fireplace first, which is the focal point of many living rooms. Position a large mirror centre stage, then group a collection of silver candlesticks, picture frames and tea lights in small clusters in front of the mirror. 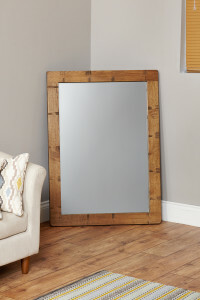 We love the Heyford Rough Sawn Oak mirror with its 8cm deep chunky frame which lets the gorgeous wood grain shine through. 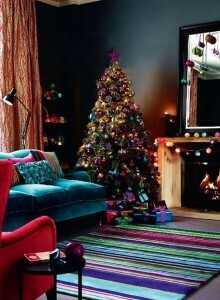 Why not set up a Christmas display in the living room? 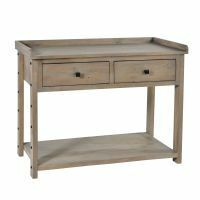 Comfortable armchairs positioned next to a candlelit console table offer a cosy spot to relax, you could add pine cones and fairy lights for additional sparkle. 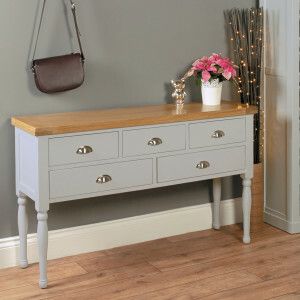 A perfect fit is the Chadwick console table which is painted a dove grey colour, has an oak top and is beautifully finished with metal cup handles. Somewhere for everyone to sit? If there’s one time of the year when you want to snuggle down on the sofa and rarely leave the house, then it’s Christmas time! During this period, you’ll have friends and family members popping round, therefore you want to make sure that your living room is cosy and welcoming, with plenty of seating available when guests arrive. Add extra seats such a foot stalls and beanbags which can be cleared away for extra space. 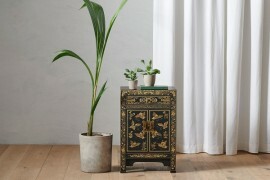 There’s nothing boring about nesting tables, in fact, they can be the most useful and versatile piece of furniture in your living room. Perfect for Christmas entertaining, they are designed with mobility in mind and can be arranged in an endless variety of stylish configurations. 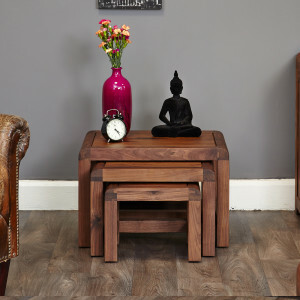 These Shiro Walnut nest of tables has stylish curved edges and an art deco feel. 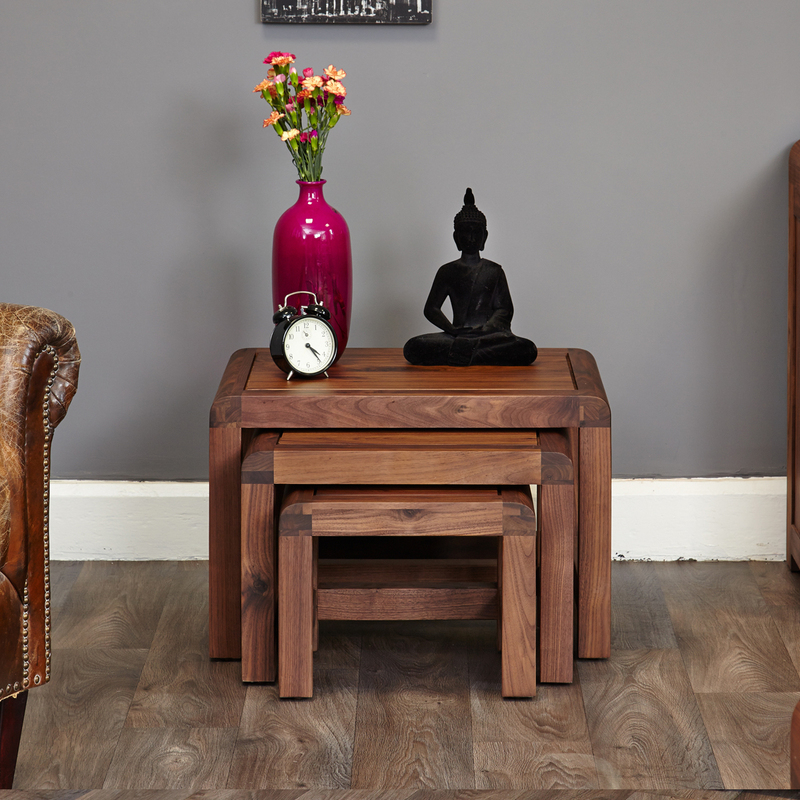 The walnut wood used in these 3 tables has a dense grain which makes them unique and timeless pieces of furniture. 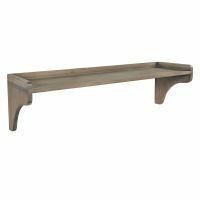 This Mayan Walnut 4 drawer coffee table could be the stunning focus to your living room. 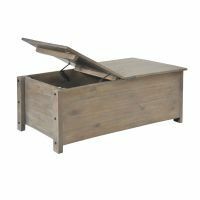 There’s plenty of space inside and on the top – it can hold TV remotes, magazines, drinks, food and even a Christmas board game, you can put your feet up on it, or it’s a perfect size for children to do some colouring. Think about lighting – it’s sets the ultimate mood and ambience of a room. A couple of table lamps can create a cosy, inviting retreat in your Christmas living room and we’ve got the perfect selection of tables to sit them on. 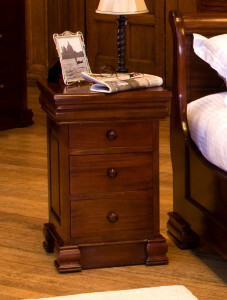 This gorgeous La Roque Mahogany 4 drawer lamp table is beautifully finished with panel sides and has a clever drawer hidden in the top. 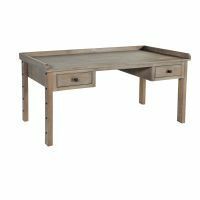 It’s classic design is emphasised by the beautiful solid mahogany wood which has been sourced from our environmentally friendly plantations. So you want to choose a TV cabinet that does justice to your new widescreen TV that you’ve purchased ready for Christmas? 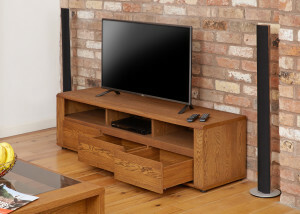 This Olten Dark Oak widescreen TV cabinet is designed for TVs that are up to 90 inches wide. 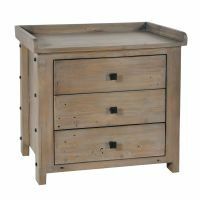 There’s plenty of storage with three open shelves and three soft close drawers plus the unit has handy holes in the back for tiding away cables. 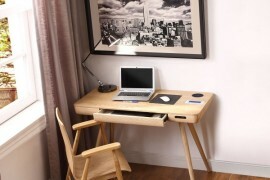 We particularly loved the oiled oak finish which really highlights that natural grain of the wood. 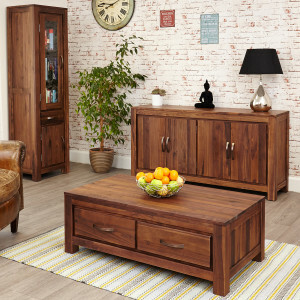 Or for something a big smaller – what about the Mayan Walnut 4 drawer TV cabinet? The unit is designed for TV cabinets up to 72 inches wide and has 2 shelves and 4 DVD storage drawers. 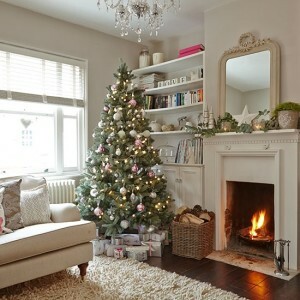 The centre piece of your Christmas living room – a gorgeous looking tree! Go traditional with a red Christmas decorating scheme or what about sparkling silver? And for a finishing touch before your guests arrive, light some Christmas scented candles for a festive feel. 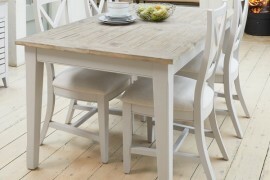 We guarantee that we will deliver all in stock furniture, ready for Christmas, if it’s ordered by the 13th December. 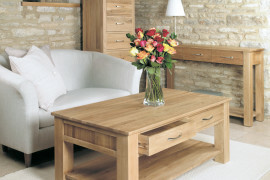 Remember all our furniture is delivered fully assembled within 10 working days. Be #houseproud this Christmas.